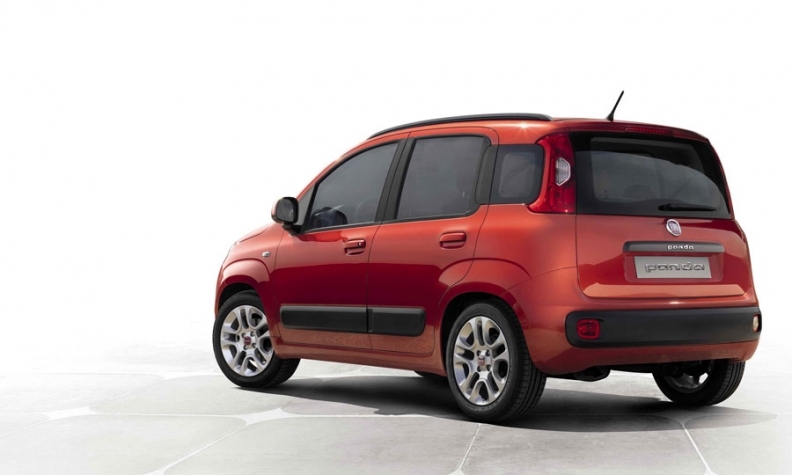 The new Fiat Panda has a larger trunk space. TURIN –- Fiat on Tuesday released details of its latest Panda minicar ahead of the model's debut at the Frankfurt auto show next month. The latest version of Europe's best-selling minicar is bigger with a roomier interior. It will compete with cars such as the Volkswagen Up, which will also debut in Frankfurt. The new Panda's exterior styling is very similar to the current car's but is less boxy with more curved surfaces. The engine hood and headlights are similar to those on the retro-styled Fiat 500. The Panda is 110mm longer at 3650mm with its wheelbase unchanged at 2300mm. Most of the growth in length is on the rear overhang to boost the car's trunk space, as well as to offer more legroom to rear passengers, who also benefit from rear sliding seats for the first time. The Panda is also 50mm wider at 1640mm, which means it can seat three passengers in the rear comfortably. Most minicars have room for only two passengers in the back. Designed under the direction of Fiat Styling Director Roberto Giolito, the father of the successful Fiat 500 minicar, the new Panda sits on the latest development of Fiat's Mini vehicle architecture, which is also used by the new Lancia Ypsilon. Like the current Panda, the new version will be offered only as a five-door to avoid cross-sales with the three-door Fiat 500. 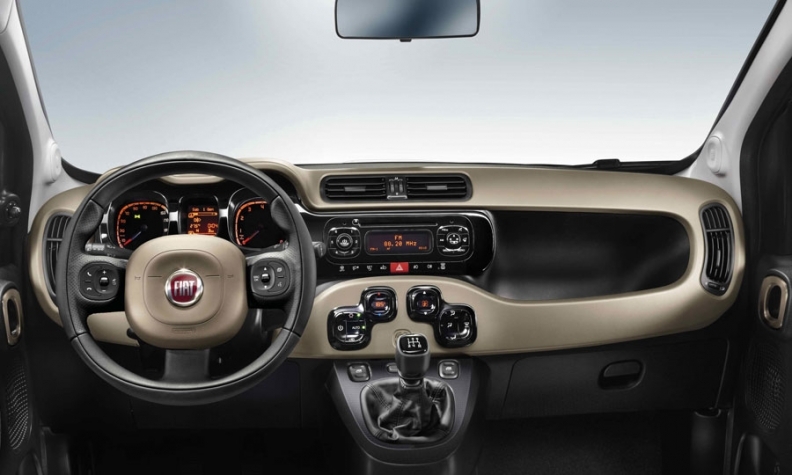 The interior is the strongest innovation in the new Panda. It has a colored, sculptured dashboard. At its launch early next year, the Panda will come only with front-wheel-drive. An all-wheel-drive variant will arrive next summer. The Panda gets a front face similar to the Fiat 500. The minicar segment is Europe's third-largest, but volume fell in the first half after 2010 figures were boosted by scrappage incentives. Below are 2011 first-half unit sales with % decline in brackets. 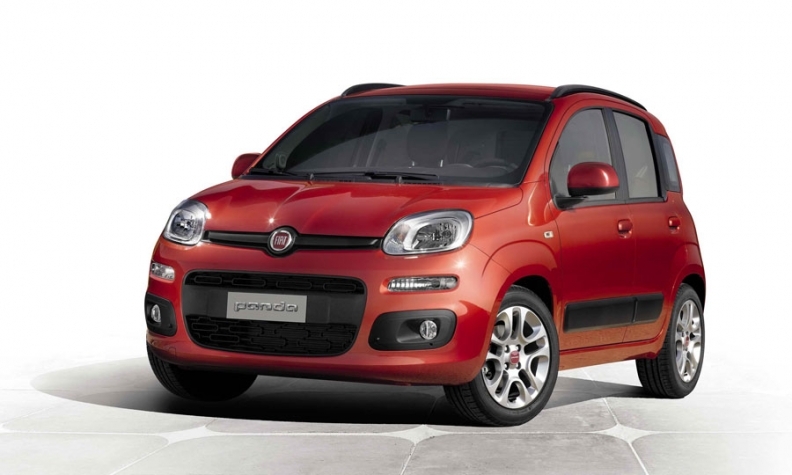 The Panda has new versions of Fiat's TwinAir 900c two-cylinder engine. A normally aspirated TwinAir delivers 65hp, 20hp less than a turbocharged unit, also offered. By next summer, an 80hp turbocharged bi-fuel version, able to burn gasoline or compressed natural gas, will be offered with CO2 emissions of 80 grams per km, compared with 92g/km with currently achieved by the 85hp gasoline unit. Two four-cylinder engines, a 69hp 1.2-liter normally aspirated gasoline unit and a 75hp 1.3-liter turbodiesel complete the new engine range of the third-generation Panda. Fiat built 6.5 million units of the first and second generations of the Panda. The first generation, styled by Italdesign Giugiaro, was introduced in 1980. About 4.5 million units were produced over its 22-year life cycle. The second-generation, designed by Stile Bertone, launched in 2003 and has surprised even Fiat's most optimistic predictions. The automaker planned to sell 1.2 million over the car's six-year life cycle. In July, the current Panda surpassed 2 million sales after eight years on the market. The Panda has a colored, sculptured dashboard. The Panda will be built in the former Alfa Romeo plant of Pomigliano d'Arco, near Naples, in Italy, instead of in Tychy, Poland, where the car is currently produced. Fiat has invested 840 million euros to refurbish Pomigliano, which has an installed capacity of 1,050 units a day, or 280,000 units a year working on three shifts on six days a week. Tychy's Panda capacity will be used to build the new Lancia Ypsilon five-door hatchback. The new Panda will be unveiled on September 12 in Frankfurt.